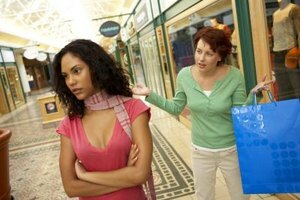 How Can I Get a Friend to Forgive Me for Talking About Her to Another Friend? Pause, reflect and think before speaking when a friend hurts your feelings. 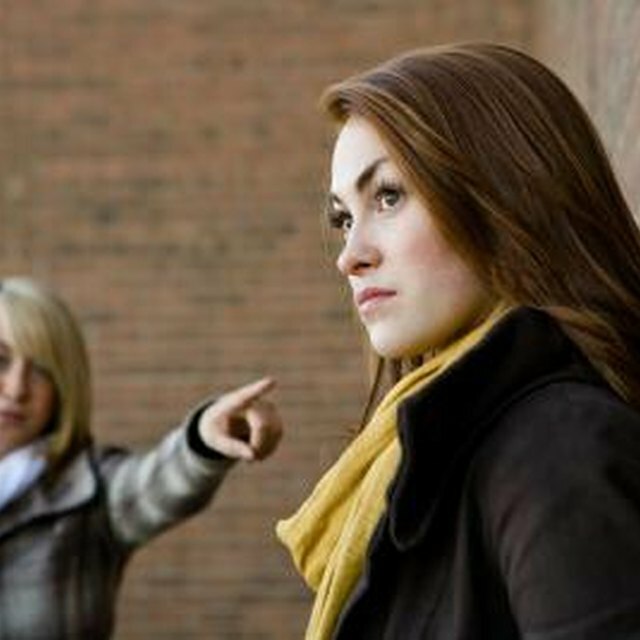 4 How Can I Get a Friend to Forgive Me for Talking About Her to Another Friend? Conflicts are inevitable when it comes to friendships. During trying times, friends may say things that are hurtful to one another. This can leave one or both friends feeling offended, confused about the friendship and angry. When conflict occurs, it's best for those with hurt feelings to take some time apart from their friend until they are able to resolve the conflict coolly and rationally. Calm yourself. The moment a friend says or does something that hurts your feelings, you may want to lash out, but it's best to avoid handling the situation when you're very angry because you may say or do something that you'll later regret. Tell your friend that you need to take a moment to calm down because your feelings have been hurt. Engage in deep breathing techniques - counting to 10 - or take a walk to regain your composure. Investigate the deeper meaning behind your hurt feelings. Professional contributors to Psychology Today say that it's helpful to think about whether you're offended by an isolated incident involving your friend or you're offended because this incident triggered some unresolved personal issues. For instance, if your friend jokingly calls you a name - and this behavior is typical, but you suddenly get offended - ask yourself why you're upset. Think about the incident and try to get to the core of the matter. Express your feelings calmly and rationally. Once you've calmed down and identified any underlying issues that may have fueled your anger, express these sentiments to your friend. Be honest about your hurt feelings without pointing fingers and placing blame. Allow your friend to express thoughts and feelings by listening attentively, and without interrupting. Avoid being judgmental of your friend for being offensive to you. Realize that everyone makes mistakes and focus on resolving your conflict. Seek "win-win" or fair solutions to resolve your conflict. You and your friend should both generate suggestions on how to resolve the issues between the two of you. In the example given above, you and your friend may decide to cease calling each other names altogether. Be sure that you are both happy with the proposed solution - otherwise, one of you may develop resentful feelings toward the other. Seek to forgive your friend for hurting your feelings. Try not to hold onto your hurt feelings for longer than necessary and always focus on resolution. Don't resort to hurting your friend's feelings just because your friend hurt you. Don't ignore the conflict between you and your friend, because this may generate resentment. K. Nola Mokeyane has written professionally since 2006, and has contributed to various online publications, including "Global Post" and Modern Mom. Nola enjoys writing about health, wellness and spirituality. She is a member of the Atlanta Writer's Club. How Can I Tell If One of My Friends Likes Me?